The Free Bird Cage Candle Stand is a perfect amalgamation of an ethnic and contemporary art form, a perfect complement for your inner multiplicity. Beautify your adobe with scented candles placed on the perfectly shaped and carved stand. Hung by a free string, the enthralling emerald is sure to complement the serene décor of your house, making up for the most breath-taking frame. The elegant yet dramatically designed piece of decor ought to be a fascinating piece of statement, indoors & outdoors. 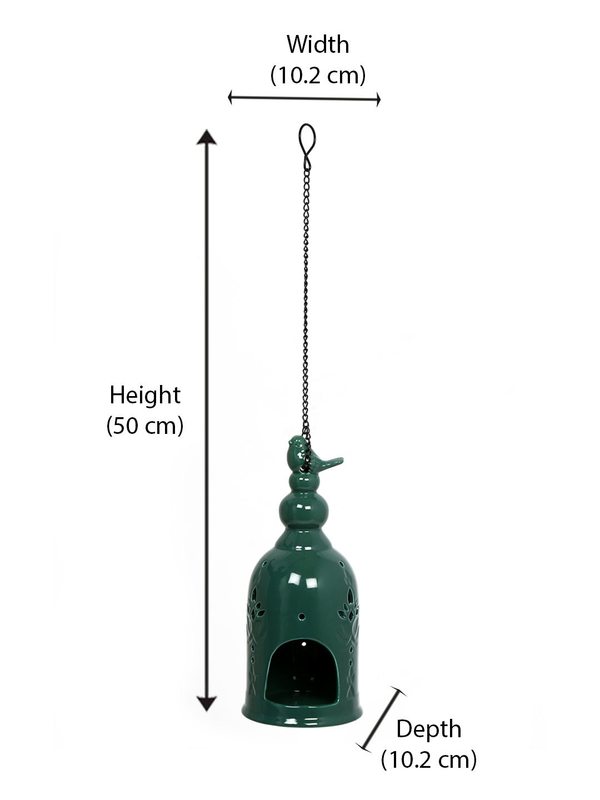 Set up the spirits high by lighting up your lives with the Free Bird Cage Candle Stand.